John Ranto was a collector and cachet designer of first day covers of US issues. I came into possession of Ranto cover as I specifically acquired one containing USA Scott Number 1590A and 1623B. These 2 booklet stamps are much rarer than their similar counter parts and were obvious holes in my collection for some time now. My policy for filling in low value USA stamps is currently: “Fill them with something interesting”. I found this interesting cover that contained both of these stamps (along with a few others) and from here I learned about cachet maker John Ranto. Starting in the 1960’s, Ranto began creating specialty FDC’s that he created by folding up USPS postal bulletins and display posters. He would then adorn these not only with the issue in question, but, in many cases, similar or related issues. At first he made these covers only for himself, but then started to make additional ones as well. Many of these (but not all) are signed and numbered by Ranto. 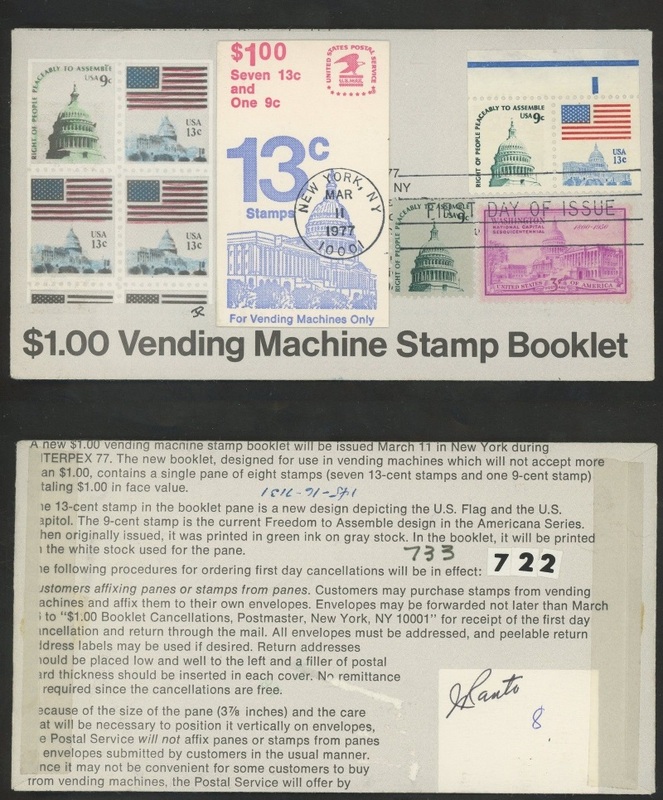 ****** Most issues Ranto would use combinations stamps on the related cachet issues. Many times Ranto would hand color on the photo copied issues (3 & 4 above) or even on the originals. This seller currently has over 4,000 covers for sale from the Ranto collection! I have also found a few other pieces of information here and here.